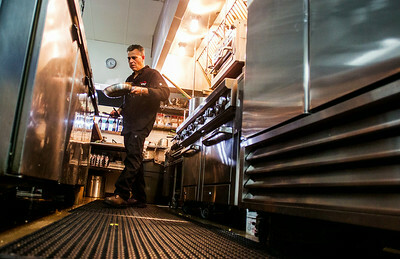 Kyle Grillot - kgrillot@shawmedia.com Mary Jo Savenelli works to clear a table in her newly opened restaurant, Cucina Rosa in McHenry. Salvaore and Mary Jo Savenelli had opened a restaurant in Palatine in the 1990s, and have since decided to open a new McHenry restaurant. 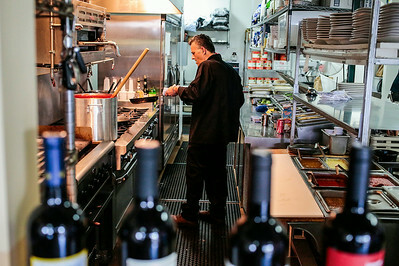 Kyle Grillot - kgrillot@shawmedia.com Salvaore Savenelli works in the kitchen of his newly opened restaurant, Cucina Rosa in McHenry. Salvaore and Mary Jo Savenelli had opened a restaurant in Palatine in the 1990s, and have since decided to open a new McHenry restaurant. Mary Jo Savenelli works to clear a table in her newly opened restaurant, Cucina Rosa in McHenry. 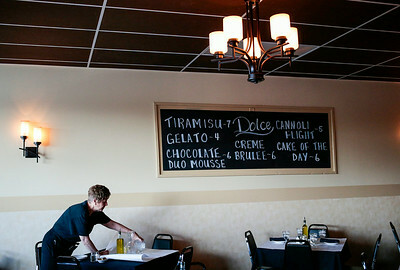 Salvaore and Mary Jo Savenelli had opened a restaurant in Palatine in the 1990s, and have since decided to open a new McHenry restaurant.